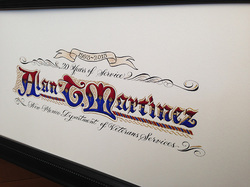 Celebrate milestones and special occasions with a true one-of-a-kind gift. 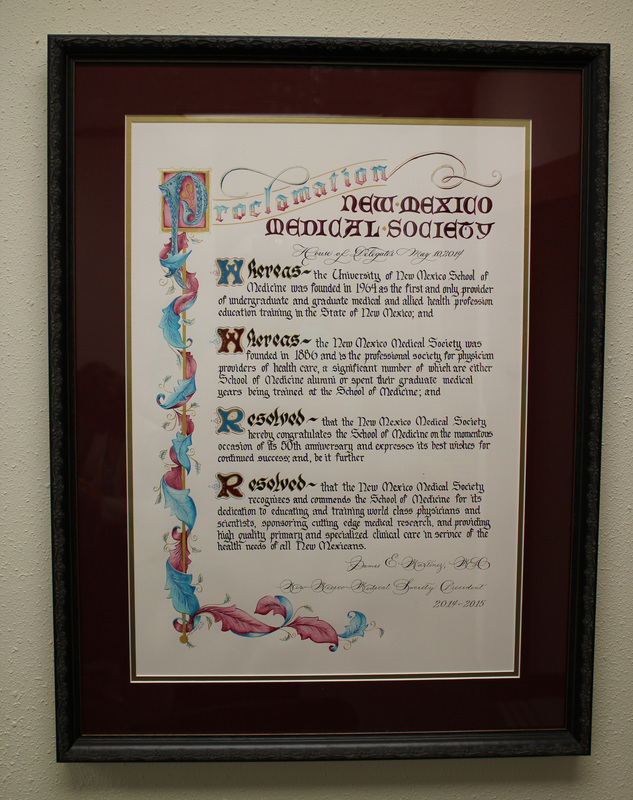 Our certificates, awards and resolutions are hand-crafted using the best quality materials. We start with an interview to gather the information about the recipient(s), the occasion, and the little details (like color palette, special interests, environment) that will go into the finished piece. After an initial sketch is completed and approved by the client, the design is then either sketched onto hot-pressed watercolor paper or calfskin vellum. The design is finished in any combination of watercolor, gouache, pastels or colored pencil. Details are done in fine inks and 24 karat gold leaf or Palladium. This is an investment piece that will be treasured for years to come by the recipient! Below are a few examples of different types of certificates we offer. However, the certificate you choose is only limited by your own imagination! A special milestone deserves a special award. 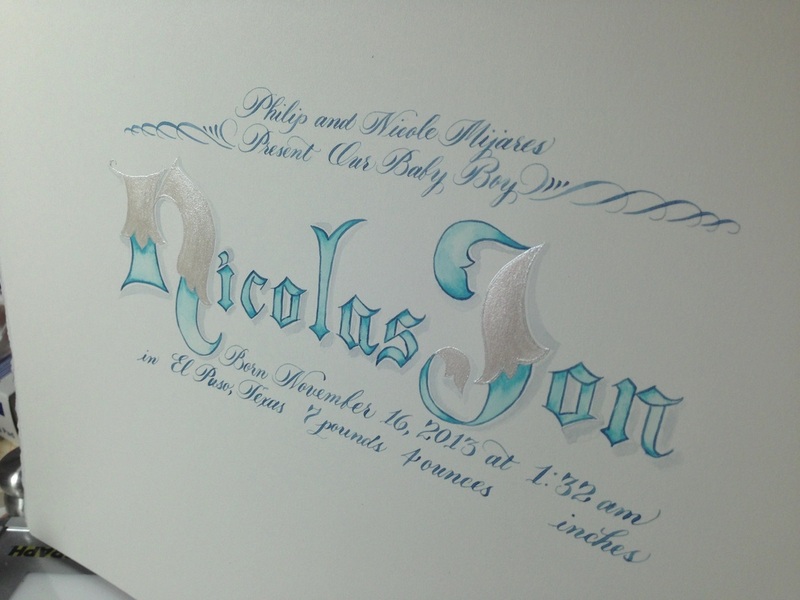 Let us design a certificate that will be treasured for years to come. This is hot-pressed watercolor paper, hand-sketched lettering, Sumi ink, pastels, gouache, metallic watercolor, and 24 karat gold leaf. Your wedding day is the beginning of your life together. 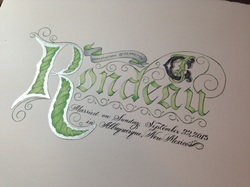 Let us design a monogram, and a special rendering of your married name that is sure to become a family heirloom. 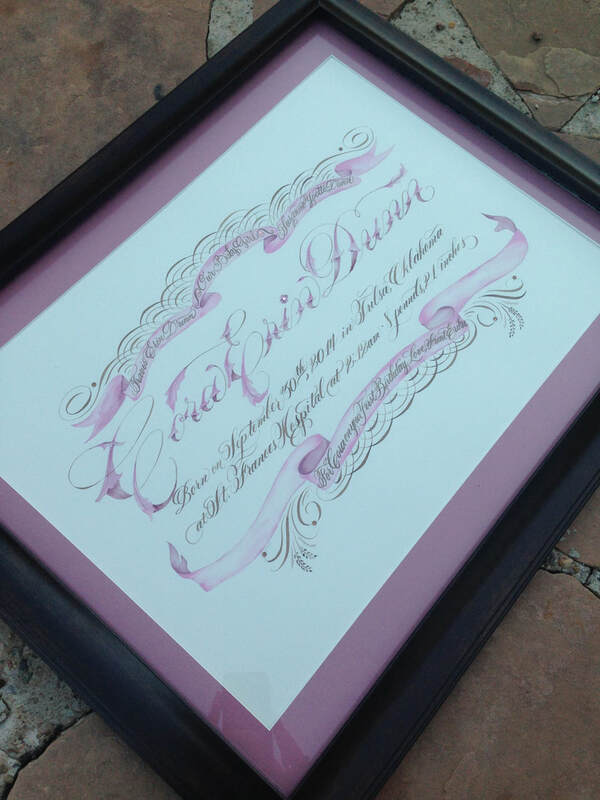 Customized to your wedding palette, or home decor. 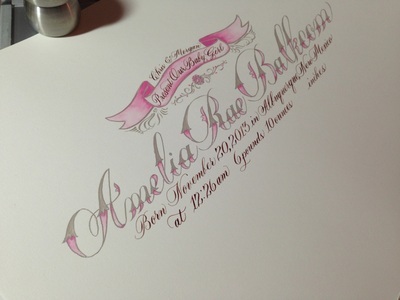 This is hot-pressed watercolor paper, hand-sketched lettering, Sumi ink, watercolor and metallic watercolor. 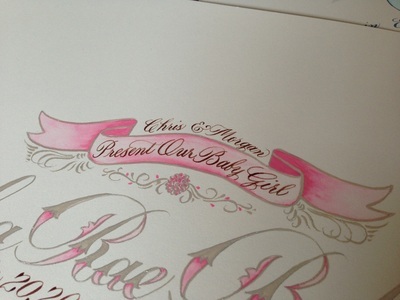 A unique and precious baby gift is a gorgeous, hand-painted birth certificate. No two are alike. 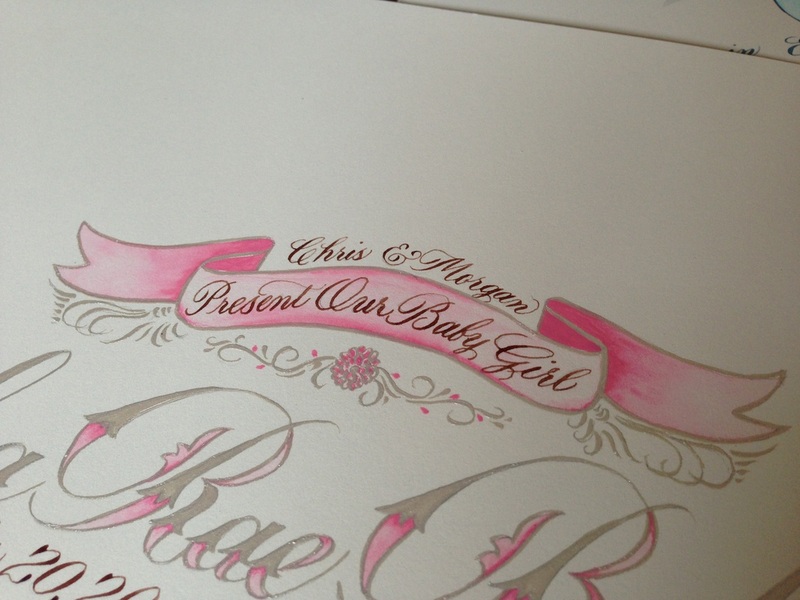 In keeping with the "baby" theme, the ones shown were created in traditional pink and blue palettes. 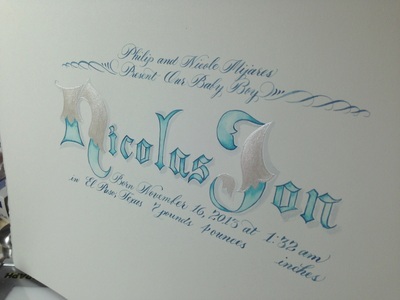 "Girl" writing is our Silver Leaf design, and "Boy" writing is a hand-sketched style based on Gothic writing. Due to the uniqueness of each certificate or award, prices will vary. Starting costs for hand-painted art in similar styles on this page are $150 without framing.